Green Shepherds Launch & Potluck! In 2012 and 2013, ClimateBuddies.org led our Energy Action Team to accomplish some amazing things: helping local congregations eliminate 1,000,000 lbs of CO2 pollution and releasing our climate action manual, “Becoming Carbon Positive” – to name just two. The culmination of their work is a new program for houses of worship, Green Shepherds. 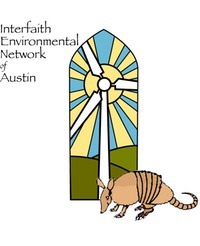 The Green Shepherds program helps Austin congregations understand exactly where their most effective investments can be made in response to the climate crisis and provides support for getting things done.